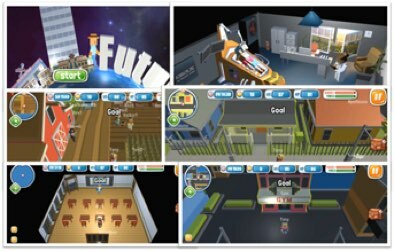 Futurable is a true AI game where every character is a fully autonomous AI. That is, every character – either NPC (Non-Player Character) or PC (Player Character) – in this game can be a playable AI. 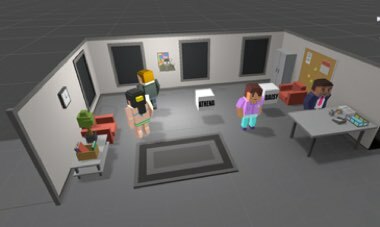 In a single player game, a human player via its player character plays with NPCs as playable AI. 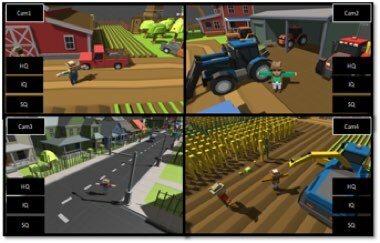 In a multi-player game, a human player plays with other players as well as with NPCs of playable AI. Human playing with AIs is very similar to that playing with other humans, because AI reasons exactly in the way a human thinks from the initial phase of sensing and perceiving, and then problem solving and learning, until the final phase of responding to outside the world. On the other hand, human playing with AI could significantly differ. Although the current AI is still limited and inferior in overall to human intelligence with its reasoning capabilities, it is far more powerful than a human at least in several ways; first, its processing speed is million times faster; second, it is precise in terms of computation; third, it can remember everything, once it learns. While NPCs are all playable AIs, PC (Player Character) can also be a self-playable AI. Thus, a human player can play its PC (Player Character) in two ways, either directly by oneself or indirectly via autonomy. With most of the games, a player plays the game only directly via its PC (Player Character). In our AI game, however, a player can play the game in an autonomous mode as well. For example, if the player wants to take a break or to give up control to his or her own autonomous PC for whatever reason, the player can switch the mode to autonomy. The player can create his or her own avatar AI and let it play while others do not know of. One thing to note is, however, once the player delegates the play to its own AI, the result may not be the same as he or she expects. This sort of game playing with AI is unprecedented. It totally differs from that of a conventional game. As the result, game playing with AIs will benefit us in several ways. First of all, it will be far more exciting and fun to play with AIs like human intelligence rather than with hand-crafted dumb characters. Second, it will be truly rewarding if a human player can learn cognitive skills from AIs while he/she interacts with them. The cognitive skills acquired include problem solving, learning and memory. Third, while interacting with multiple AIs, a player can improve their social and emotional learning skills. Our core AI engine, called GiAR (General Intelligent Agent Reasoner), is a world-class multi-agent reasoner written in PDDL (Planning Domain Definition Language) to be able to deal with real world problems. Soon in the future, we hope to install millions of AI characters with GiAR Lite, a light-weight version of GiAR. We are extremely happy to deliver the true AI game, though an early version. Moreover, we look forward to providing game developers with a plugin of GiAR Lite in order to build “your own” AI game.